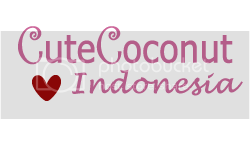 CuteCoconut Indonesia dibuat sebagai pengembangan versi bahasa Indonesia dari CuteCoconut personal blog. Dengan mengusung tema Motherhood, Womanhood dan Life Style kami ingin dapat berbicara luas mengenai hal-hal yang menarik para ibu muda pada umumnya dan juga untuk menyesuaikan dengan target segmen pembaca yang merupakan ibu muda baik bekerja ataupun yang menjadi ibu rumah tangga. Setiap tulisan yang dipublished mendapatkan reward sebesar Rp. 10.000,- dengan minimum pembayaran sebesar Rp. 50.000,-. Kontributor wajib menulis minimal 1 post perminggu dan keaktifannya akan direview setiap dua bulan sekali. 1. Mengisi formulir registrasi yang tersedia di bawah ini. 2. Bila diterima anda akan dihubungi melalui email dan diberikan Username dan Password Kontributor. 3. Setelah diterima anda mendapatkan masa percobaan selama 2 minggu yang mana tulisan yang didraft pada minggu-minggu tersebut apabila dipublish tidak mendapatkan poin reward. 4. Tulisan yang dipublish setelah anda mendapatkan email rekonfirmasi dari kami mengenai status anda sebagai Kontributor tetap kami akan mendapatkan poin reward. 5. Kontributor direview setiap 2 bulan sekali. 6. Tulisan harus original dan tidak pernah dipublish di mana pun sebelumnya. 7. Supporting image harus menyertakan credit. Supporting image tanpa credit harus merupakan image yang free royalti dan free license. The new Zune browser is surprisingly good, but not as good as the iPod’s. It works well, but isn’t as fast as Safari, and has a clunkier interface. If you occasionally plan on using the web browser that’s easy, but if you’re planning to browse the web alot through your PMP then the iPod’s larger screen and better browser might be important. I have recently started a website, the information you provide on this web site has assisted me tremendously. Thanks for all of your time & work. Just like other areas of technological innovation, video games also have had to evolve as a reaction to many ages. This itself is testimony to the fast continuing development of video games. Howdy would you mind stating which blog platform you’re using the services of? I’m going to start my own blog in the near future but I’m having a bad time deciding between BlogEngine/Wordpress/B2evolution and Drupal. The reason I ask is because your design and style seems different then most blogs and I’m seeking something unique. P. S Apologies for being off-topic but I had to question! Thanks for your post on the traveling industry. I might also like to add that if you’re a senior contemplating traveling, it’s absolutely vital that you buy traveling insurance for seniors. When traveling, golden-agers are at greatest risk being in need of the health emergency. Obtaining the right insurance policies package for one’s age group can look after your health and give you comfort. Hmm it seems like your site ate my first comment (it had been extremely long) so I guess I’ll just sum it up what I submitted and say, I’m thoroughly enjoying your blog. I as well am an aspiring blog blogger but I’m still fresh to everything. Do you have any points for inexperienced blog writers? I’d really appreciate it. I heard somebody talking about this on the radio recently, but I can’t remember what station it was. My coder is trying to persuade me to move to be able to. net from PHP. I have always disliked the idea because of the expenses. But he’s tryiong none the less. I’ve been using WordPress on numerous websites for about annually and am worried about switching to another platform. I have heard very good things aboutblogengine. net. Is there a way I can import all my wordpress posts engrossed? Any help would be greatly appreciated! Heya just wanted to give you a brief heads up and let you know many of the pictures aren’t loading properly. I’m not sure why but I think its a connecting issue. I’ve tried it in two different web browsers and both show the same outcome. Thanks for these guidelines. One thing I also believe is that often credit cards presenting a 0% monthly interest often bait consumers with actually zero rate, instant authorization and easy online balance transfers, but beware of the real factor that can void your own 0% easy road annual percentage rate and also throw you out into the bad house quickly. 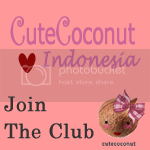 CuteCoconut Indonesia Powered by WordPress and theme by	gazpo.com.